dawar is one of the trusted propert deller in Old Faridabad, Haryana. As a reliable builder and developer, we are engaged in Buying Property and Selling Property. We have in depth knowledge about the market aspects and are engaged in buying and selling of the property. We focus in providing the best quality and excellent return on investment to the clients. We deal in different kinds of property such as Residential property and Commercial Property. We offer our services at an affordable price to our clients. We understand the real estate needs of the client and offer the finest guidance in dealing in property. We specialize in providing personalized services to the requirements and objectives of the property holder. Residential: We provide restrictive scope of all rumored manufacturers in Delhi and Faridabad running from normal Apartment, Residential project near Faridabad, palwal residential property, property in palwal, property and plots for sale in Faridabad which can match with your decision and monetary plan. We likewise help you in discovering the most suitable area that panders to your private reason. Commercial: Investment in business properties in the late years has grown up unforeseen. A dominant part of financial specialists are more inspired by putting their stores into business properties in view of the whole universe of economy demonstrates that industrialization has blast up the business market. 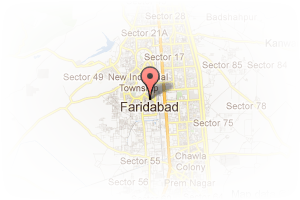 Address: 739, Sector 46, Faridabad, Haryana, India. 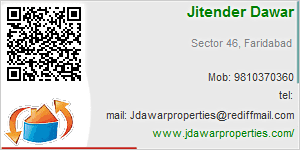 This Broker Profile page for "J Dawar Group" has been created by PropertyWala.com. "J Dawar Group" is not endorsed by or affiliated with PropertyWala.com. For questions regarding Broker Profiles on PropertyWala.com please contact us.